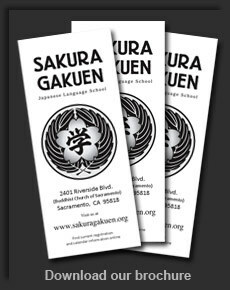 Sakura Gakuen Japanese Language School provides a variety of classes for kindergarten through high school students who have little or no prior knowledge of the Japanese language. The Sakura Gakuen faculty is composed of native speakers educated in Japan who specialize in teaching Japanese as a second language. All grammatical explanations are given in English. Academic emphasis is on sentence structure, allowing the students to easily construct a large variety of useful phrases and expressions. Unlike other conversational Japanese classes, Japanese alphabets (Hiragana and Katakana) and Kanji will be taught to the students. Students will be instructed how to speak Japanese as well as how to read and write it! The practical age appropriate lessons build a solid foundation in Japanese that has served many Sakura Gakuen alumni with continued language studies. Elements of Japanese culture and games will also be introduced to help students gain a better understanding of the language and customs and have fun while learning. Typical class sizes range from 8 to 15 students. High school credit may be also available. An after school class for high school students will be held Mondays 4:30 to 6 pm. Refer to Monday Program for more information. First time students will start in the Introduction class and no knowledge of Japanese is necessary. For info on registration click here. To see more info on tuition click here. After gaining knowledge of the Japanese alphabet and some basic grammar and vocabulary the student will graduate to the beginning class. With a little bit of effort, students can advance from introduction to beginning and then on to intermediate in just a few short semesters. What if I know some Japanese already? Sakura Gakuen offers classes from Beginner to Advanced. Students will be placed in a level based on their performance on the placement exam given at the beginning of every year (in the fall.) Below is the list of classes that are currently available. To contact any of these teachers, please visit their faculty profile here. The main purpose of the Sakura Gakuen PTC is to promote a sense of belonging among students, parents, and teachers through cultural activities planned during the year. It also serves as a communication link between home and school. 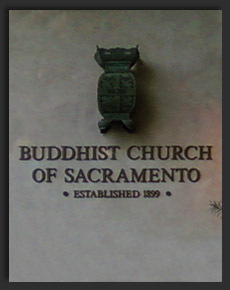 Our meetings are generally scheduled from 11:00 am to 12:00 pm on the first Saturday of each month. All parents are welcome to contribute. The School’s Deans and PTC President meet with the dedicated Sakura Gakuen School Board members on the last Monday of each month at 7:30 pm. and other times as needed.